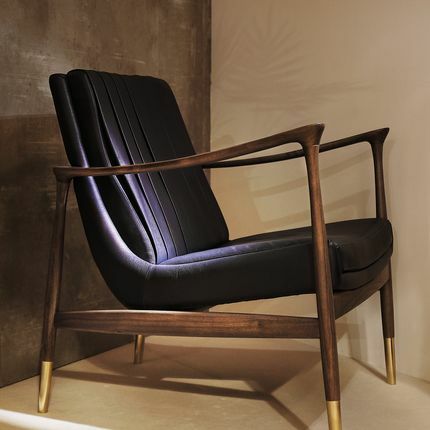 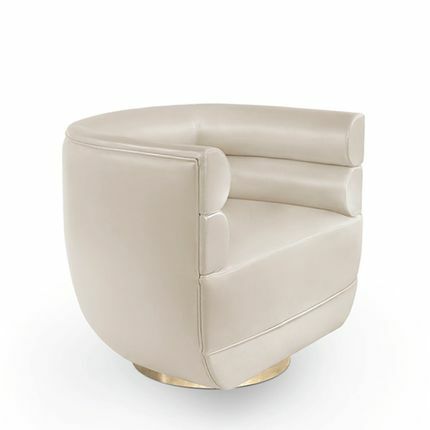 Ellen is a sophisticated armchair, featuring a modern tub design. 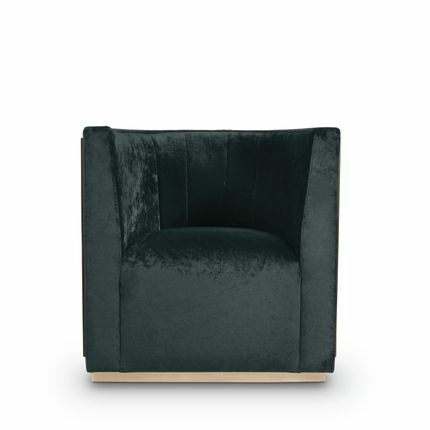 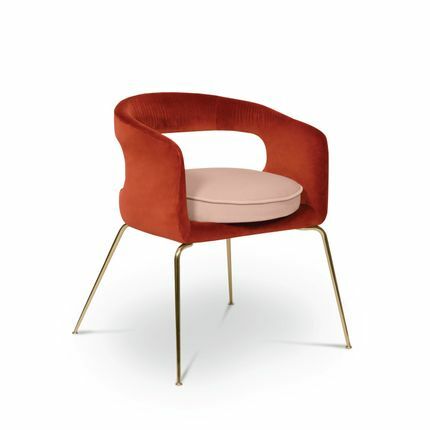 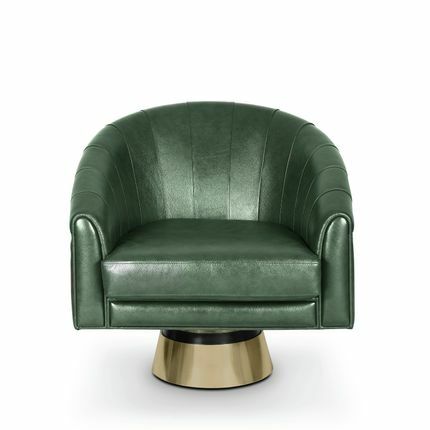 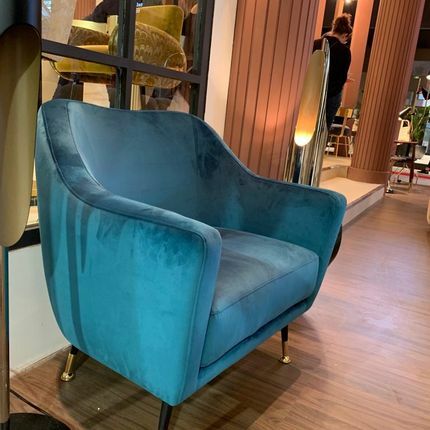 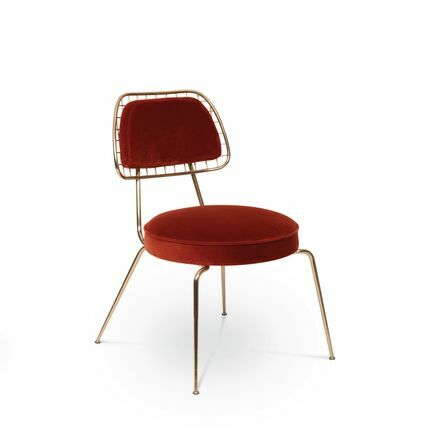 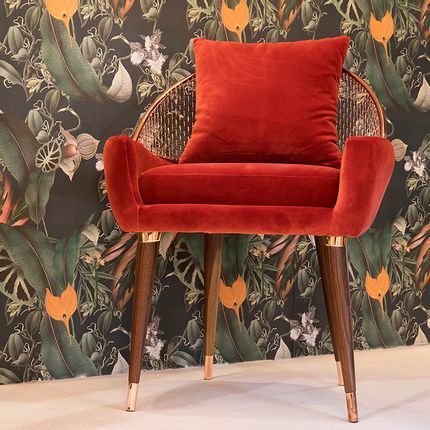 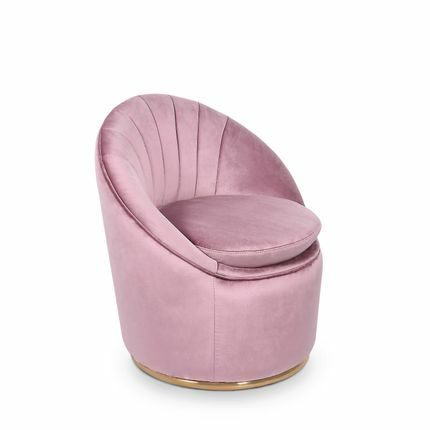 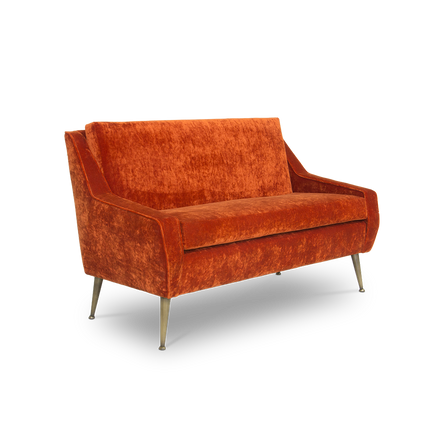 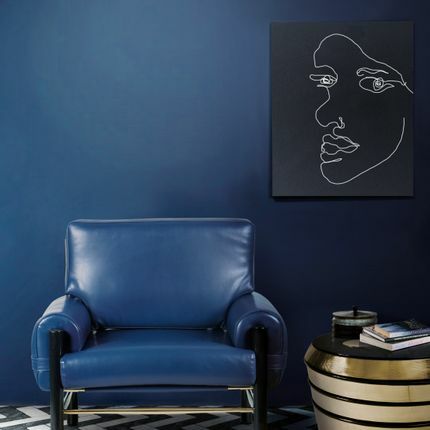 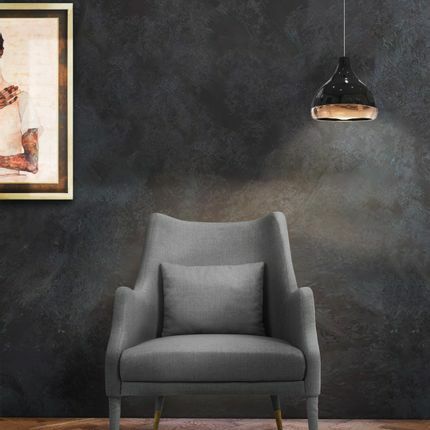 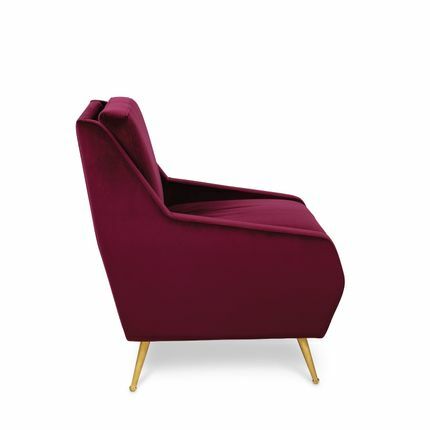 Built on top of a polished brass base, this accent chair is upholstered with a lustruous velvet and its curvilinear open back contrasts with a rectangular shape on the front. 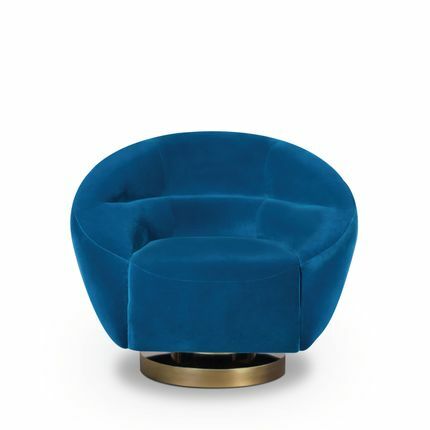 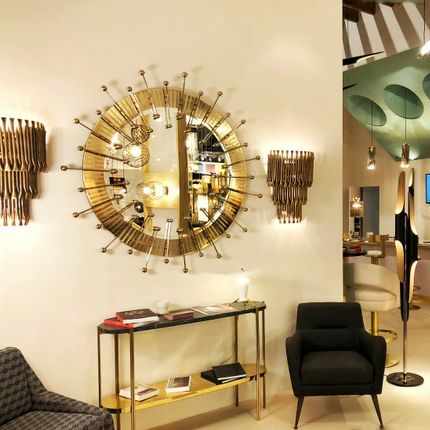 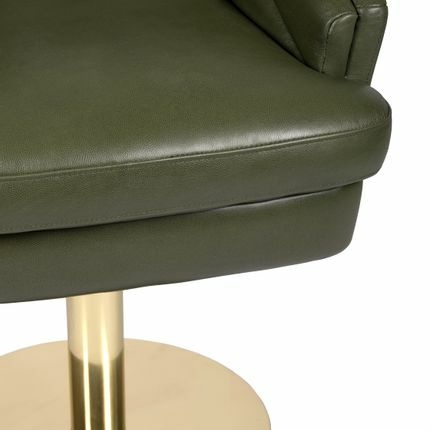 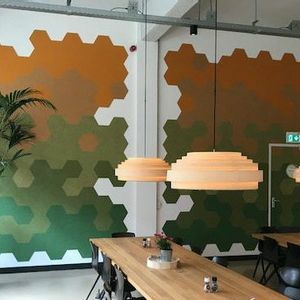 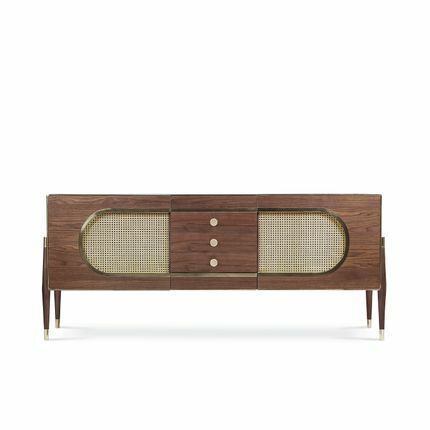 It has a non swivel cylindrical seat perfect for those nostalgic retro lovers, who love a mix between contemporary design and mid-century modern style.